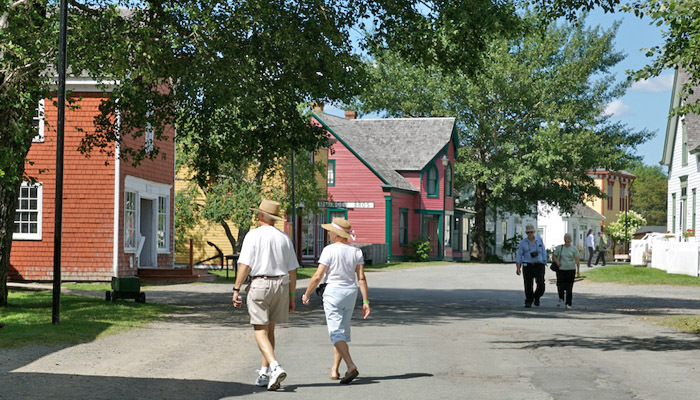 Historic Sherbrooke Village is a provincially significant heritage attraction that preserves and interprets the rich past of Sherbrooke. It depicts community life in a typical Nova Scotian village from 1860 to the early 1900s. The Sherbrooke Restoration Commission oversees the planning of programs within the Sherbrooke Planning Area. It is responsible for the use and administration of funds, preparation of budgets and operation of the Village of Sherbrooke. The Commission advises on the restoration and development of Sherbrooke and reports to the Nova Scotia Museum Board of Governors who grants funding for the Village. Visit the Sherbrooke Village website.